Extra Life 2017: Schedule and Donation Stretch Goals! Also, as I did last year, I will be doing stretch goals on donations leading up to game day. You will find more on those below! 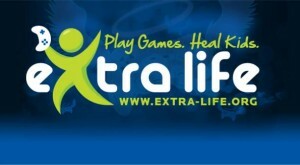 Click here for my Extra Life donation page! Extra Life 2013 – Sanctuary is Giving Away a Playstation Vita?! Oh my goodness, guys. I’m sorry I’ve not written here in a long time. Most of my current events have been cleared over my twitter accounts: @omgfloofy and @FloofyGaming. So I’m doing a post for my team, Sanctuary Crew Gaming, to explain what we’re doing for Extra Life this year. We will be doing contests this year! Multiple raffles and drawings and random giveaways. This is partly because XSEED Games was extremely generous in their codes for us, so we may randomly give away codes to people in the stream chat, too. As the title says, we’ll be giving away a Playstation Vita. This will be a refurbished Vita purchased from Gamestop’s website. We will purchase it and send it to the address of the winner. Along with the Vita, you will also be sent two codes, thanks to XSEED Games. One code will be for Valhalla Knights 3 and the other will be Ragnarok Odyssey. There will also be codes for games raffled off: anywhere from games like Dead Space, Mirror’s Edge, Medal of Honor, Killer is Dead, Rune Factory 4, and other titles. How do you enter the raffles? You just donate! The DonorDrive site that Extra Life uses for donations will register email addresses and names. I’d like to keep it open for anonymous entries, but this is honestly the easiest way for you to get into our raffle, and something where we don’t need you to take any extra steps. 1. 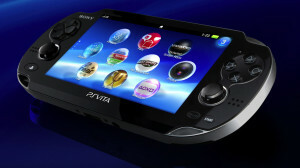 For every $20 you donate, you will be entered in for a chance to win yourself a Playstation Vita. For every $10 you enter, you will be entered to win one of our myriad of Steam, Origin, PSN, XBL, or Nintendo codes for yourself or for friends and family. Also! If you win a game, you may be excluded from winning any other games, but you will still have a chance to win the Vita at the end of our event. So if you donate $100, you will have 5 entries into the Vita drawing, and 10 into the game drawing. 2. When you enter the donation screen, do not select ‘donate anonymously’ to enter as it will obscure your contact information, and that will mean that we lose your info in case you win. Again, I apologize that it has to be that way, but it’s far easier on those of us running the raffle together. 3. like in the above screenshot, make sure you check allow participant to see my email address. This isn’t a publicly visible thing. It’s only to those of us in the team. Like I said, this means that we will be able to contact you. We are planning to do the drawing sometime on Sunday afternoon, after Extra Life has concluded. (We might still be streaming, however!) I’ll make sure I make the announcement on twitter, both my personal twitter (@omgfloofy), and the Sanctuary Crew twitter account (@SanctuaryGaming). We will run the other raffles throughout the day, as well as twitter contests and other things. Who is Sanctuary and Who is Participating? The Sanctuary Crew Gaming is a twitch.tv team of various gamers that love to play anything and everything video game related. We can be found across the United States and even with some international members. Please donate across the board to them if you can. If you are watching our stream, and you like what you see, please donate to the person playing at the time. I already plan to play some Aion, fuss around in Sen no Kiseki, and try to push towards the end of Assassin’s Creed III. Since I really haven’t. D: I also have a special stream planned involving Sniff and Secret of Mana’s special 2-player mode. You can catch that at 6pm central time on Channel 1. Thank you for taking the time to read through this, and let me know what you think with comments or responses on twitter or Facebook! Good luck to all the participants, I hope to see you tomorrow at some time! Since I will be spending the next 24 hours in gaming jail for Extra Life, I figured I would make a list of multiplayer games I will actively play. If you play any of them, feel free to hit me up and let me know! If there’s an interest for multiplayer on the Wii, let me know, I’ll nab my friend code. I have Adhoc party on my PS3. I can meet you in a room for that with any of my multiplayer capable PSP games.